The sun is the massive star at the center of the Solar System which holds nearly 99.9% of the solar system's mass. Even though astronomically it is classified as a yellow dwarf star, it is the reason for all life on Earth. Sunlight is the most important component of photosynthesis which is how plants synthesize foods from carbon dioxide and water which, in turn, makes other oxygen breathing life possible. The green plants harness the energy from the rays of the Sun, and produce oxygen as a by-product, which is vital for us to sustain our life. Nature's plan for life depends on the Sun. With the coming of the early morning rays of the sun, nature wakes up. When the light disappears, nature goes to sleep. Since the beginning of life on earth, we have been constantly interacting and evolving under the care of Mother Nature. As long as you abide with Nature and live in harmony with it, you are blissful. So, as a rule of thumb, you should wake-up and sleep along with the Nature. You should leave your bed early in the morning for a successful life. It will enable you to maximize your working time. Not only this, but it also indirectly sets up your sleeping time. To get an adequate amount of sleep is necessary and a real joy and to keep your body's clock in sync with nature's cycle is a great blessing. Waking up late is a bad habit which affects the efficiency of your mind. The best sleep occurs before midnight. In the morning, the subconscious mind begins spilling into dreams and fantasies. The lack of sleep is a leading cause of illnesses and mental disorders. If you do not sleep for enough time that your body needs, you cannot live rightly. Good sleep allows your body to use the hours you are awake more efficiently. Your body accumulates energy during the sleep and revitalizes the mind. Sleep has no alternative. It is essential for good health. Deep sleep plays an important role in your body's immune function, metabolic order, memory and other vital systems. The length and the quality of sleep have a profound impact on your learning and growth. A sleep-deprived person cannot pay proper attention, so cannot learn efficiently. Proper sleep enables your mind to process new information and use it effectively to your benefit. If you defy Nature's rules, it will punish you through disease and ill-effects on your health in many ways. An improper sleep will cause obesity, diabetes, hypertension, clogged arteries and low immunity. You can save yourself from illness and disease by sleeping at the right time. It will allow you to wake up at the right time in the morning to set your biological clock with nature's cycle. In the field of medicine, it is called the Circadian Rhythm. By harmonizing with Nature, you will be enriched by fresh air and sunlight. 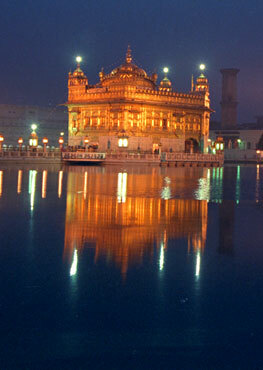 Guru Nanak gives utmost importance to waking up early in the morning in the Ambrosial Time. In Punjabi language, this time is called the Amrit-Vela, which is the 2.5 hours before dawn, beginning when the sun is at an angle of 30 degrees below the horizon. Guru Ji tells you to wake up in the Amrit-Vela and meditate and do japa for a while to clean your mind, and catch the rising sun energy of the day, just as a surfer catches a rising wave. It will calm your body and make your mind clear and still. 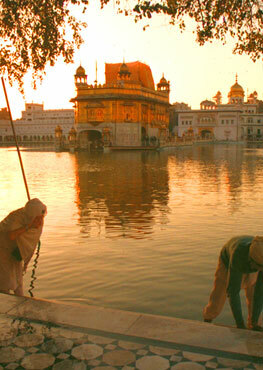 Through being able to access the stillness of your mind and come from your shunia (zero point) instead of your ego, you will naturally flow in Waheguru's hukum and your life becomes free of hustle and hassle.